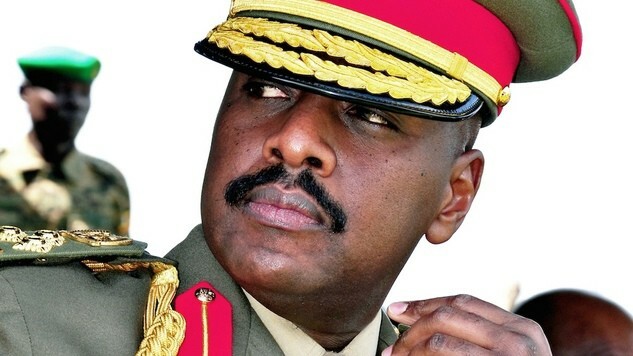 KAMPALA – President Yoweri Museveni, who is also Commander in Chief of the Armed Forces has promoted his son also presidential advisor on special operations, Muhoozi Kainerugaba from the rank of Major General to Lieutenant General. The UPDF announced Friday that the President had promoted a total of 2031 Soldiers to various ranks. Muhoozi was in May 2016 promoted to the rank of Major General by the President. At the time he was serving as the Commander of the Special Forces Command (SFC), an elite unit of the UPDF, charged among others with the security of the president. A year later, he was named a presidential Special Presidential Advisor in charge of Operations and replaced at the SCF by Brig Don Nabaasa. 100 of the officers were promoted to align with establishment appointments, 97 were promoted due to retirement, 130 were promoted for long reckonable record of service and 49 after successfully completing Grade II staff course. Details are in the list below.